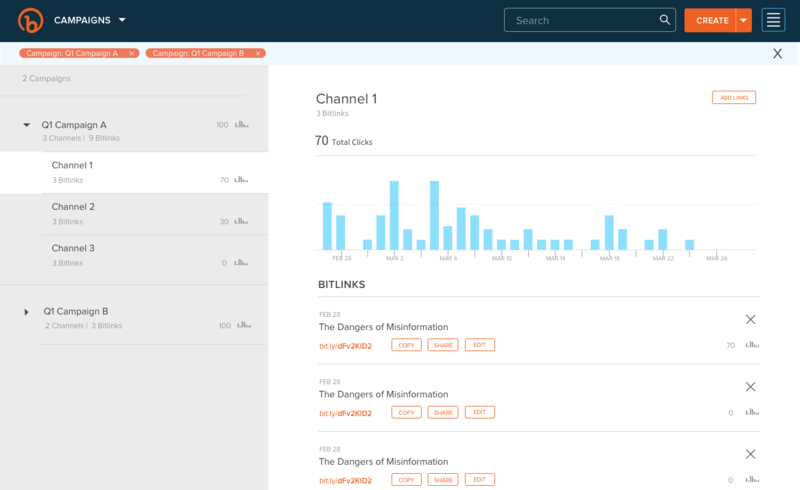 A revised version of the Bitly Brand Tools customer dashboard for viewing audience engagement analytics for social media channels. 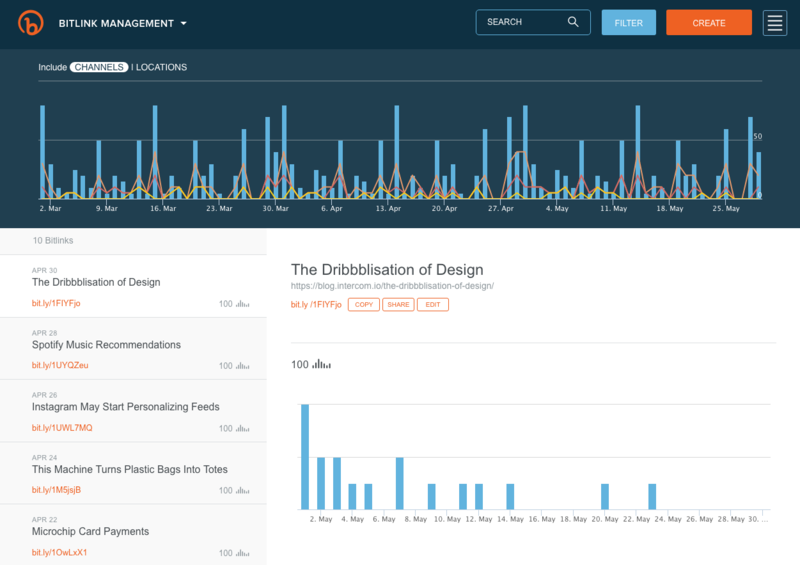 This design focuses on promotion of the performance graph, and the ability to sort links by date. 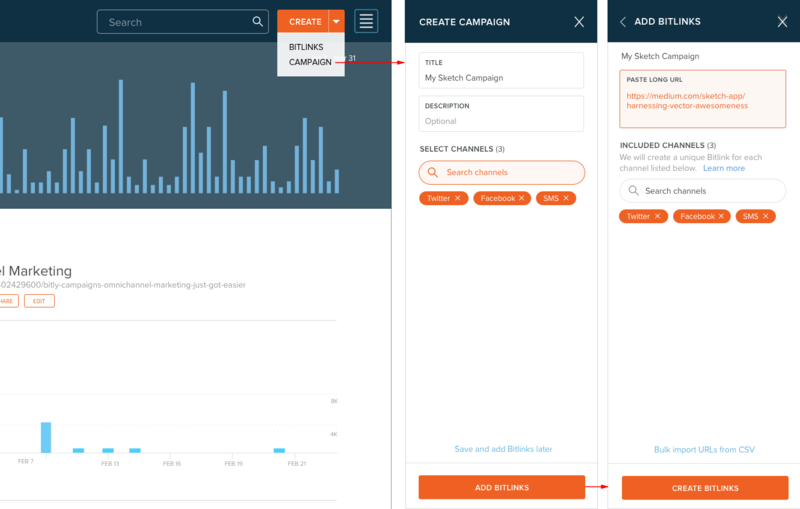 Users can filter by date from the performance graph, search dynamic results from the search bar, or use a traditional filtering menu to multiselect tags, campaigns, or date ranges. 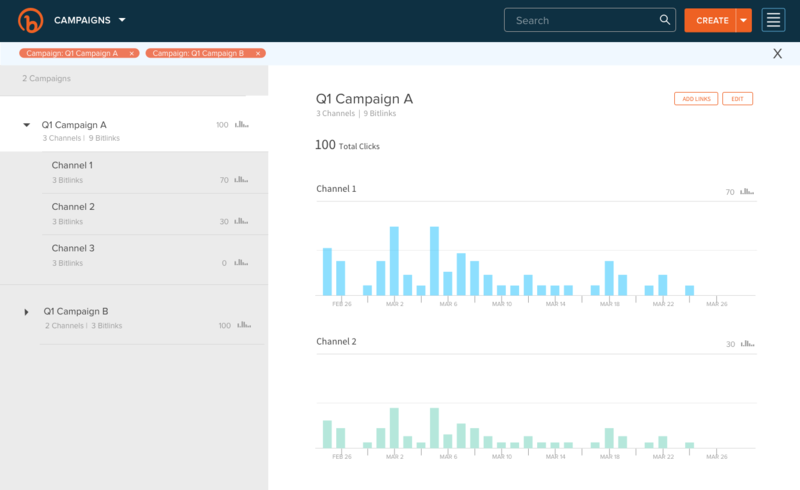 Campaigns are a premium feature of the dashboard used to organize links by channel in order to understand how similar content performs across multiple channels, as well to allow for aggregate metrics of all links within a campaign. The channels that comprise the campaign can be edited independently of links. Links can be added to campaigns at the time of creation, or retroactively.